In celebration of the 10th anniversary of the Lake Ontario Waterkeepers, I curated a multi-media art exhibition with 21 local artists in the theme of “water”, specifically Lake Ontario and Kingston’s watershed. 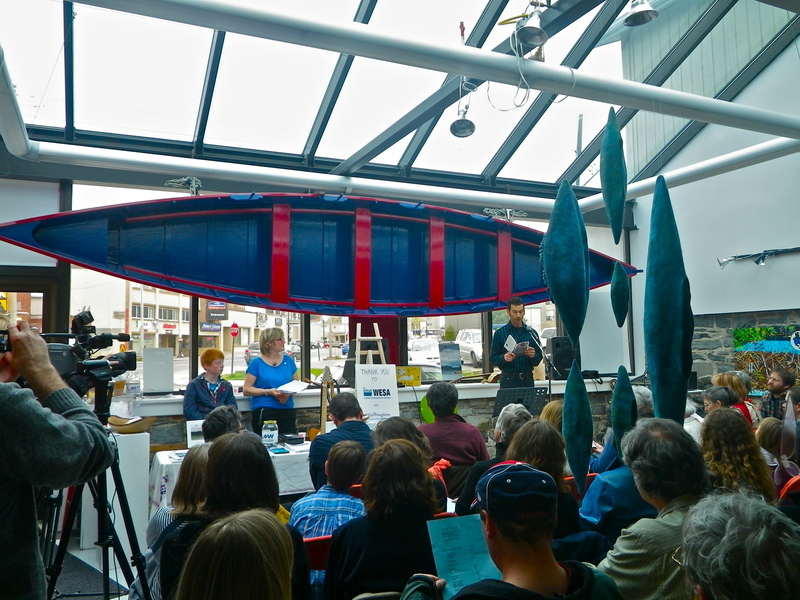 I organized a forum in tandem with the exhibition which brought together local poets, musicians, storytellers and activists on Earth Day in 2012. All of the proceeds from the I Am Water book are donated to the LOW. Click here to view the I AM WATER catalogue. The I AM WATER 2013 took place at the Pump House Steam Museum debuting new Engineerium space in one of Canada’s oldest water works from 1850. Click to view the poster. By connecting people emotionally to a resource we all take for granted – water – and more specifically, Lake Ontario, I AM WATER hopes to generate discussion on clean water, currant ideas of sustainability and Kingston’s waterfront accessibility. Click here to view the I AM WATER catalogue.